After study and work abroad in Fribourg, Switzerland, and Paros, Greece, Nicole graduated with a BA from Providence College with studies in both science and the humanities, and moved to Nantucket shortly thereafter. 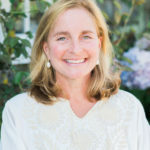 Nicole began her real estate career on Nantucket in the early 90s, as the assistant to Lawrason Riggs, Jr., a wonderful mentor and a highly regarded professional in the field, quickly establishing herself as a successful Broker in her own right. After taking the millennium to double-hand her 46 foot sloop through the Panama Canal and across the South Pacific to New Zealand, Nicole returned to Nantucket to launch a prominent island real estate firm. In 2012, Nicole sold her partnership in that business to work independently, emphasizing the importance of her customized and personal attention. Three years later, and with great pleasure, Nicole joined the energetic, friendly, and professional team at Great Point Properties. She combines her 25+ years of experience, and continued commitment to personal attention, with Great Point Properties’ broad presence in the marketplace to provide the highest level of service and market research available. Her commitment extends well beyond real estate as the devoted mother of her two beloved high school-aged boys, Henry and Charlie. When Nicole is not with clients, you can find her cheering from the sidelines at squash matches, at mark roundings in Saturday’s Yacht Club races, or challenging the boys to a tennis match or the occasional race “to the barn and back” with their playful dog, Buddy. A passionate traveler, Nicole is committed to raising responsible and respectful citizens of the world. She and her boys cross the country and globe for an annual travel adventure!